Back in 2015, Corning announced “Project Phire” which aims to create a material for wearables that combines the durability of Gorilla Glass with the scratch-resistance level of sapphire. Finally, the company is ready to show it to the world. 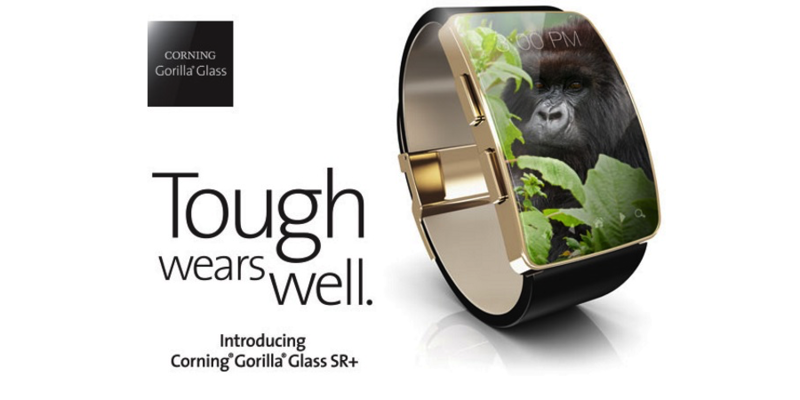 Today, Corning announced Gorilla Glass SR+ for wearable devices. It is designed to offer optical clarity, touch sensitivity, and protection required in wearable devices. According to lab tests, it delivers up to 70% better damage resistance but 25% better surface reflection than its alternatives. These factors make a strong case for the usage of a glass in any wearable device. These improvements in optical performance also enable longer battery life and improved outdoor readability. Corning’s Gorilla Glass is used in Apple’s iPhone models. For Apple watch, Apple uses Ion-X glass for the Sport model and sapphire glass for the stainless steel and Edition models. It will be interesting to see if Apple adopts Glass SR+ in new wearable product. Gorilla Glass SR+ is already available commercially. We can expect wearable devices with Google Glass SR+ protection later this year.